During the holidays we all get invited to parties and appreciation events. We normally end up meeting people we have dealt with in the past, new faces, and hanging out with our favorite groups. Sometimes we accidentally eavesdrop in conversations. It is all fun! It’s the holidays. Well, this time we didn’t need to eavesdrop. The conversation took place right in front of us as we were sipping cocktails. This overly animated agent was describing how working for this top notch Real Estate company has made her so successful. She can hardly find enough time to breath. She gestures and gasps for air as she disparages that her buyers all come from “the city”. They don’t know anything about the market but they, desperately need to get in a particular school district. She then describes how she refers out all the business outside of her little community because she just can’t be bothered. She goes on saying that her co-league goes around town knocking on doors asking home owners to list their properties with him…and they do, she adds! In the euphoria of the conversation the guy next to me jumps in and states that he does the same thing and he just managed to land a listing in the millions, that he will probably have to refer out because he has a busy life. He adds: “I tell all my clients upfront that I am a family man, I have kids and elderly relatives, I don’t work Saturday or Sunday”. He is not done, “If my buyers don’t purchase a house after I show them 6 properties I fire them”! Me and my associate look at each other and walk away. We heard enough! Here is where I have to include our mantra. GioHomes Real Estate is a local real estate company founded in 2006 based on a philosophy of customer satisfaction. 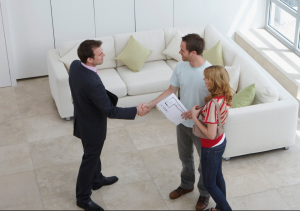 We believe that success in real estate only comes from understanding the client’s needs and satisfying them. We abandoned the corporate premise of quantity and embraced the concept of quality. Long gone are the days when the information was in the hands of few. The internet and social media now opens the door to the endless possibilities for buyers and sellers. It has empowered small businesses like GioHomes to step out of the old structure and create a more transparent and efficient market. Yes, we believe that our clients are well informed buyers and our job is to help them achieve their goals of home ownership. And, our sellers are smart competent home owners with busy lives that require the assistance of a real estate professional to handle the sale of their houses. Now, you probably have a better understanding of why we are a boutique real estate company. We are always here for you! This entry was posted in Blog, Home Buying, Home Selling, Real Estate Tips, Relocation, Renting, Westchester County and tagged Home Buyers, How to Deal with Agents and Home Sellers on January 30, 2018 by GioHomes.